The Internet of Things (IoT) has not only been received well by the industries and domains but has also buoyed up the most remote areas that have stimulated their uplift and economic reform, and revealed a plethora of business opportunities. IoT has reached all the places where our sight falls short of seeing any transformation let alone advancement. 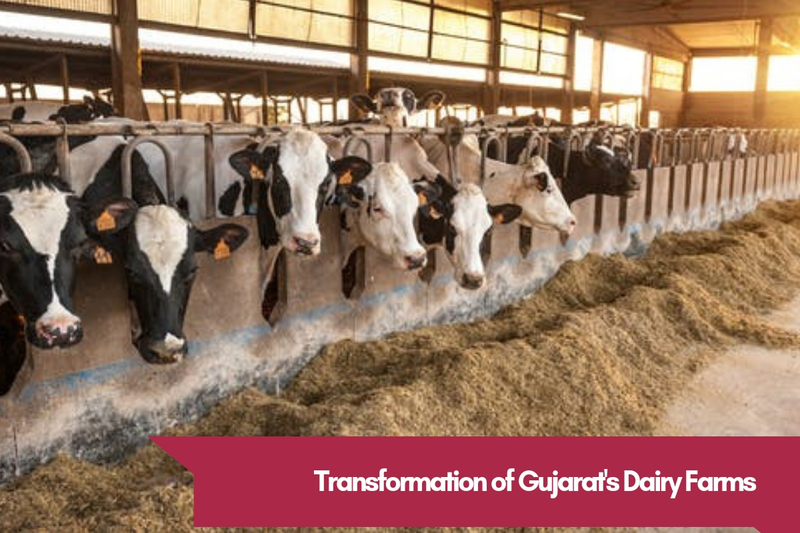 One such is the dairy farming industry in and around Gujarat that stands as the best example to witness how IoT has helped the Indian state evolve from the traditional source of earning in rural areas to establishing a ground for a full-fledged industry worth a billion bucks and also creating employment opportunities. If you’re are a farmer and have landed up here looking for how exactly Prompt has realized the IoT concept and set it up well across the dairy farming domain in Gujarat. Here, we’ve gathered some of its crucial segments that have seen a remarkable change through IoT. Dairy farmers can monitor their dairy cattle’s habits and health using IoT-powered AH software from any location, and prevent losses from animal illnesses. The Animal Husbandry software allows dairy farmers to focus on individual animal care to develop personalized feed plans and provide precise monitoring of health. It monitors overall herd health, dry period management, milk production, reproductive performance, udder health, and foot health to design a tailored approach per animal for disease control and dairy production in the herd. All the data obtained are recorded via the AH software and transferred to the cloud. This information can be viewed on AH App by farmers to manage their herd, resolve feeding issues, prevent animals from diseases, take quick actions and make better decisions in a far more laid-back manner than the mandatory on-field presence traditionally. Alerts sent by the software on farmer’s phone can help identify breeding opportunities, say the time a cow goes into heat or is about to go into labor, thereby enhancing dairy herd fertility. It helps farmer take note of the animal event and perform necessary actions like inseminating the cow in heat at the right time to prepare her for the next pregnancy and lactation cycle. Also, it eliminates the need to continuously watch and supervise if a cow has come into heat or a pregnant cow is ready to give birth. These critical dates of livestock reproductive cycle and events are easily managed through Pashu Sahayak App, which reminds you of the upcoming event by pushing notifications on your phone. The AH software allows registering the birth of new calves, any deaths or stillborn on the farm to maintain records for future reference during breeding or progeny testing.